Last week while in the midst of moving from North Texas and helping Kenny’s family move from Louisiana, we learned of the passing of our friend Bill Hammontree. Bill was known to many of our readers either through his association with Florida College, his years of selfless service in Rotary, or his dedication and commitment as a Christian. As I have been reflecting on his passing this week, it reminds me of how many of my mentors and older friends who have positively influenced my life are putting off this mortal body for the immortal one in eternity. It reminds me that I am also quickly moving in that direction. My first association with Bill was as a student at Florida College. He was a fan and supporter of our Basketball team. I learned of many ways he volunteered his time and contributed his resources to help FC students. Norma Jean and I were the recipients of his gracious hospitality many times as he treated us to steak dinners at Pepe’s restaurant in Tampa. Who knew in those days that 35 years later we would have a son, Kenny, who would marry his Granddaughter, April Temple. I can still see that wry smile cross his face when I joked at the rehearsal dinner that I finally had the opportunity to buy Bill a steak dinner. We collaborated and shared in Kenny and April’s wedding ceremony. Their marriage, of course, created a new relationship between us. I am sure, however, that it was our commonality of faith in Jesus and our shared religious conviction that was the glue for all our relationships. I was able to see how those values guided his life in our Rotary association and his Florida College involvement. His life and legacy is well expressed in the official obituary from the Tampa Times. 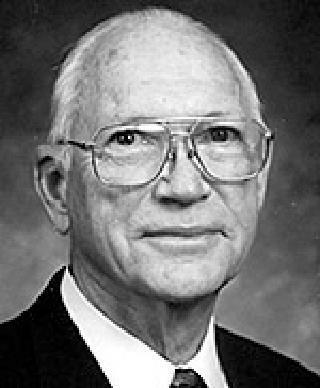 William Carl “Bill” Hammontree passed from this life May 27, 2018, at the age of 92. He was born in Chattanooga, TN to James Shirley and Irene Loner Hammontree. He was preceded in death by his wife of almost 70 years, Doris Jean King; daughter, Linda Joy Temple; brothers, Shirley Edwin and Harold Wayne; and sister, Edith Ellen Summerhayes. He is survived by three children, David Hammontree (Kathy), Trena Ledford (Edward), and Joe Hammontree (Margaret); 10 grandchildren and 13 great-grandchildren. He was devoted to his wife and family and worked tirelessly to provide for them spiritually and physically. His later years were spent in selfless care for his wife. Bill operated a lumber yard in Chattanooga for many years. He moved initially to Temple Terrace in 1952 and, after returning briefly to Chattanooga, moved to Temple Terrace permanently in 1964. He was employed by Florida College in a variety of roles including Business Manager and Director of Industries. In 1973, he purchased the wood reel manufacturing plants owned by Florida College and operated them until his passing. He was active in many areas of community service. He was part of the original Temple Terrace Volunteer Fire Department and served as Chief. He served on the Temple Terrace City Council for 22 years. He had a special love for Rotary International and was a member of the Tampa North club with 66 years of perfect attendance. He served in a multitude of roles for Rotary including Club President and District Governor. But Bill’s first love was the Lord and he tried to shine the light of Christ in all his spheres of influence. He preached for over 40 years in various places around Chattanooga and later throughout the state of Florida. He was a faithful member of the Temple Terrace Church of Christ. A life well spent, and a passing with great hope. What a sweet, kind tribute. I’m sure his family will appreciate it greatly.